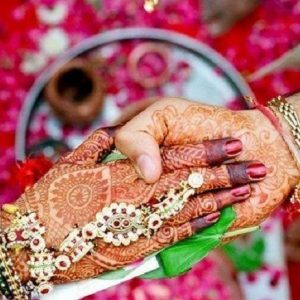 Vedic Matchmaking is an expert-run process of introducing people usually for the purposes of marriage, considering their compatibility with the help of astrology. 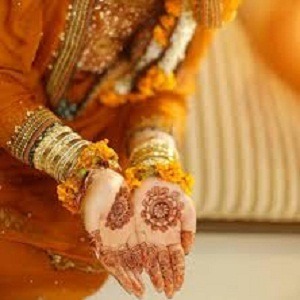 Vedic Matchmaking In India there are very few specialized and experienced astrologers for Vedic matchmaking who take under consideration the facts such as Nakshatra Dosha (in which some Nakshatra Charanas are unfavorable for in-law, brother in-law, elder brothers), Conjunction of Inimical Stars in seventh place and the Lord and Significator of the same, Vish Kanya or Vish Purush Yoga, Varna Gunankan Chart, Vashya Gunankan Chart, Tara Gunankan Chart, Yoni Gunankan Chart, friend, neutral, enemy and Lord of Moon sign, Star Gunankan Chart, Shudh and Ashudh Bhrikut, Shadashtak Bhrikut, Bhrikut Gunankan Chart, Nadi Gunankan Chart, Manglik Dosha, Conjunction of Inimical Stars in fifth place regarding the chances of conceiving child, Multiple Marriage Yoga. Here in the female’s chart presence of malefic planets, that is Saturn, Sun, Rahu and Ketu in first, fourth, seventh, eighth and twelfth houses impose Manglik Dosha. In male’s horoscope too presence of Mars in these houses creates Manglik Dosha. Hence, presence of this Dosha in both the charts compensates each other and the marriage is recommended. In both the charts the Lords of moon sign are friends (Rashishmaitree), hence there exists no Bhrikut Dosha. Also the Compatibility score (the number of points/Gunas) increases. Manglik Dosha is present in the chart of the male, but it is absent in the chart of the Female. Marriage of the couple is not recommended as disharmony may arise. Bhrikut is considered as essential criteria for a good match. Since there is Bhrikut Dosha present in this particular compatibility chart it is considered that the couple may have problems in their matrimonial life. Hence, this match is not recommended. 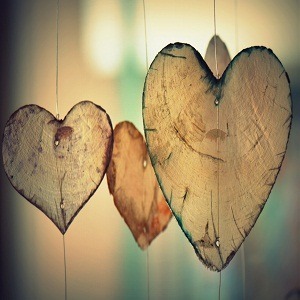 The compatibility score is low, marriage is not advised without consultation with a professional astrologer. Normally a match with minimum 18 points is recommended. Total Points: 16.5 out of 36 which indicates match is done though match is perfect as per the vedic astrology rules. 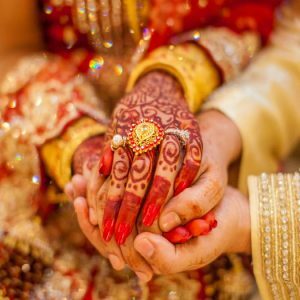 Our Organization Astrokapoor.com is the only Organization who provides Vedic Matchmaking considering all the above stated facts. 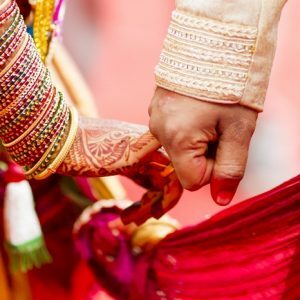 This Vedic matchmaking is well-known throughout the world such as, USA, UK, Canada, Australia, Nepal, Mauritius, Sri Lanka, Bangladesh, Japan, Malaysia, Singapore etc. and all over India. Input required for getting Vedic Matchmaking Analysis. Please provide your complete birth details (Date of birth, Time & Birth Place), and preferred consultation time. Please note: For Online Vedic Matchmaking analysis. in case of unavailability of birth details, one can mention the lump sum timing while filling the form given below. 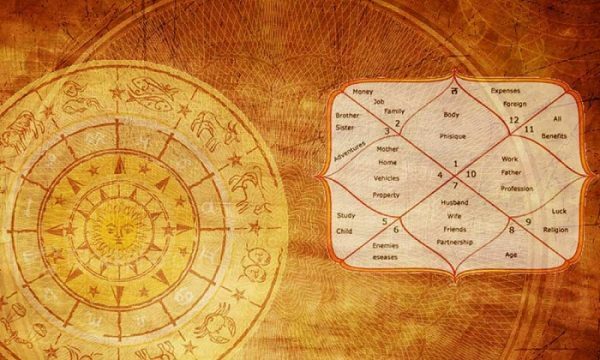 In such special cases, all the astrological calculations for Matchmaking and solutions will be provided with the help of ‘Birth Time Rectification‘ and Prahsna Kundli/Horary Astrology. There are different service providers who are offering Free Online Vedic Matchmaking analysis. So, lot of Free Matchmaking calculators are available online for marriages which can make the detailed analysis on the basis of date of birth, time and birth place of couples. Generally, 99.99% use online free matchmaking analysis report but they do not get assured using such Free online matchmaking software. Hardly 0.01% of users are there who instead of Free matchmaking report, look for properly paid online Vedic matchmaking analysis report from reputed experienced Vedic astrologers. Is Vedic Matchmaking compulsory for love marriage? When people talk about Vedic matchmaking for love marriage then astrologers should make this understanding that lovers would not stop marrying even though they have no proper match in the horoscope. They would prefer to die for each other rather than suffering from virtual death by staying apart. There is a saying that, ‘marriages are made in heaven’. So, if we notice about some people who fall in love, even in the case when their kundli match is not seamless, still such marriages go smoothly. This is the core point where one can say that online horoscope matchmaking software cannot justify its calculations always. 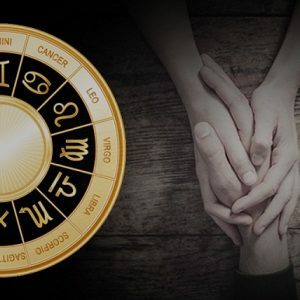 But in such case where horoscope matchmaking is not up to the mark for marriage, there experienced Vedic astrologers would definitely advice concrete Vedic solutions with the help of Vedic matchmaking. These Vedic solutions would remove the effects of malefic planets to run the love marriage with harmony. 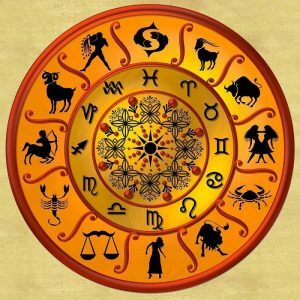 Can I still marry someone if horoscopes are not compatible according to Vedic Matchmaking? There was a time when astrologers were biased with their study and did not approve such marriages if horoscopes were not matching. This condition was acceptable in the case of idyllic arrange marriage. In this new era, people prefer to find their mates online through various social media websites but still opt for ‘free online Vedic matchmaking or paid Vedic matchmaking. This helps finding the compatibility match according to the planets. In various cases horoscopes do not match hence couples do not get approval for marriage from astrologers. But every problem has a solutions where if the match is not compatible then one can go for solution. These Vedic solutions definitely bring harmony in couple’s idyllic life by decreasing the malefic effect of planets. Does Online Vedic matchmaking guarantees success of married life? Astrology is a science which provides guidelines to take any decisions in one’s life as we all are somewhere connected with planets and stars. There is nothing that can be guaranteed hundred percent still, with right calculations, knowledge, guidance and above all, the individual capacity to make adjustments may assure success of any relationship. The kind of online Vedic matchmaking which is being followed these days are simply based on limited software calculations which in any manner does not provide in-depth calculations. As a result, this shallow matchmaking cannot provide fruitful results. 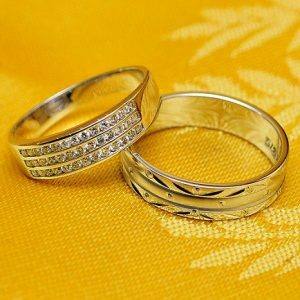 For concrete results of successful and happy married life, it is recommended to get Vedic matching done but an experienced and knowledgeable Vedic astrologer who can do the matchmaking on minute level.